Doctors don’t get a great deal of academic training when it comes to the way in which one’s diet can prevent and reverse some of the more common diseases that plague our nation’s populace. This despite the way it has become increasingly clear that diet plays a major role in the way a person can be cured and treated in a manner that is far superior to pharmaceuticals and surgical procedures. And it doesn’t matter if your inspiration is to eliminate sickness or just body fat, you want to align your approach to fitness with the way in which your body functions as opposed to the way it will react to a scalpel or a drug. From that perspective, it can be wise to enlist the help and counsel of a dietitian. Still, it can be daunting, and even a little exasperating, when you attempt to sort through all of the information that is out there in an effort to ascertain the ideal diet and exercise regimen that translates to results and not just routines. How do you discern the difference between facts and truth, especially when an authority can be ethical without being completely honest or a resource can be knowledgeable without being totally informed? That coupled with, “You can’t argue with success” – another “David Gust-ism” – has become a highly effective filter through which I can feel confident in separating facts from fiction, regardless of how compelling either of which may sound. If you want to lose weight, you have to burn more calories than what you consume. Regardless of how you facilitate that dietary deficit, you must have a deficit of some kind. If your current dietary regimen is not yielding the results you’re striving for, change it. And remember: Starving yourself and / or denying your body the nutrients that it needs may translate to some short term gains in terms of a reduced waistline, but ultimately you need a healthy lifestyle and not a detrimental habit. Not only is that healthy lifestyle going to give you enduring results, it will also provide a number of ancillary benefits that go beyond general aesthetics. If you want to build muscle, you have to tax the muscles you’re wanting to develop. What you need to accomplish is something called “hypertrophy” (pronounced “high-PURR-truh-fee”). 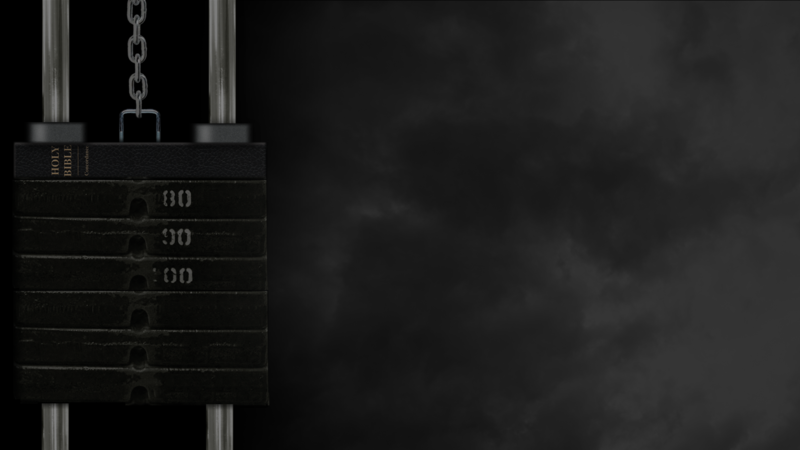 Hypertrophy is defined as “inducing an ‘over-load’ on the working muscles with various training techniques during a bodybuilding workout.” While there is a difference between discomfort and damage, just like to create a dietary deficit, you’re going to be hungry, if you’re working out correctly, you’re going to be uncomfortable. It doesn’t happen by itself nor does it happen in the absence of profuse perspiration. Those are your bottom lines. Follow those absolutes and you’re well on your way to becoming fit and trim. And as far as the inevitable minutiae that can sometimes surface as seemingly dramatic distractions – what to eat and what not to eat, how to train and how not to train – remember, “It works!” and “You can’t argue with success.” By using those two phrases and ensuring that your approach can be labeled with both of those statements, you can filter out the news from the noise. Eggs cause cancer in terms of the dietary cholesterol they represent. But it’s not just the cholesterol. Animal protein is accurately touted as a necessary element in a person’s diet that is wanting to build muscle mass because it’s composition is very similar to human protein. In that way, it represents a very efficient way to build and repair our muscle tissue. However, efficiency is not the same as quality. With animal protein, you’re also getting Cholesterol, Carcinogens and, in some cases, an exorbitant amount of fat. The natural variety of plant proteins that you encounter every day, however, provides all of the essential amino acids we require, while simultaneously avoiding all of the detrimental effects of animal based protein. Grab a Shovel – The China Study Debunked? I’m coming out of the gym and I see a table set up where the staff dietitian had some questions displayed in an effort to get people engaged. One of the questions was: Are eggs a good source of protein? Because I was reading “The China Study” at the time, I confidently responded by saying, “No.” At that point, I was told that I was wrong and I shouldn’t trust the advice of my cardiologist – the “advice” in this instance being that I should read “The China Study” by T. Colin Campbell, PhD and learn how nutrition can prevent and treat heart disease. Her disposition is not unique, though. “Get Inspired” is a website featuring the advice and commentary coming from Angela Pifer who is a Functional Medicine Nutritionist with multiple academic credentials and an impressive array of professional accomplishments. She vehemently disagrees with the notion that animal-based protein products are a contributing factor to cancer, and that includes any kind of dairy products. And her web page is but one of a slew of medical journals and professional publications that insist animal protein is not a factor at all when it comes to treating and preventing disease. Let’s dive into the idea that dairy causes cancer – casein and whey are the two proteins in milk. 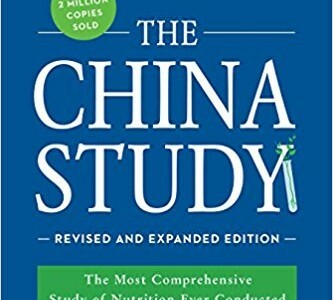 The China Study book, clearly states that dairy causes cancer. What he is basing this off is rat studies. Here is what he presents: in this study rats were either fed a 20% casein diet or a 5% casein diet (so one group of rats is on a 20% protein diet and the other group is on a 5% protein diet). What he and the film Forks Over Knives state is that the rats eating a 20% casein protein diet acquired cancer and saw increased tumor growth on this diet. The rats eating the 5% casein protein diet, did not get cancer. Furthermore, when the rat’s that were eating a 20% casein diet were reduced to 5% casein, the tumor growth slowed. This sounds convincing, doesn’t it? What he failed to mention is this, in these studies the rats were injected with the highest level of Aflatoxin allowed by the FDA in animal studies. Aflatoxin is the toxin associated with peanuts that cause peanut allergies in some humans. The dose of Aflatoxin administered to these rats was equivalent to a human eating over 100,000 peanut butter sandwiches. The Aflatoxin is what caused the tumor. In fact, if a study is being designed to test a medication, chemical or nutrient on a tumor, Aflatoxin is one of the ways to induce a tumor that you would then test your hypothesis on. What was also not presented was that the rats eating 5% casein actually died at a faster rate than the rats eating 20% casein. Why did this happen? Because detoxification is protein driven and the rats eating the 20% casein protein were kept alive longer by being fed a higher protein diet – long enough for the tumors to grow. Dairy does not cause cancer. Casein does not cause cancer. The research project she was referring to was a program that began as a way to combat malnutrition in the Philippians by teaching mothers how to best nourish their children with the most ideal, locally grown foods with an emphasis on protein. 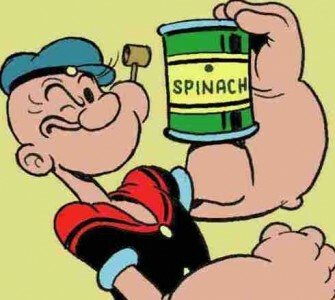 Peanuts were the most accessible sources of protein, especially for those who did not live along the coast where fish could be conveniently caught and consumed. There was a problem, however, in that it wasn’t uncommon for peanuts to be contaminated with a carcinogen called “Aflatoxin” (AF). Before focusing on nutrition, they chose to first investigate AF since that was prevalent in peanuts, their preferred source of dietary protein. They found it to be very common in peanut butter and the affects of the contaminated legumes were seen primarily in children in the form of liver cancer. As they continued their research, however, a pattern began to emerge that went beyond the consumption of peanuts. Liver Cancer was not limited to those who were malnourished or had unwittingly ingested the AF carcinogen in the form of contaminated peanut butter. It was a common disease among children, yes, but many of the children that were dying before they reached the age of ten were coming from the best-fed families that were consuming more protein than the majority of their peers. At this point, the focus changed. Those parts of the world that had the most cases of cancer were also among those that were the most malnourished. It was therefore assumed that the better the diet, with an emphasis on protein intake, the better the chances of a person not getting cancer. But now, what began as a strategy to combat malnutrition by promoting a diet rich in protein intake, was being retooled to find out if animal based protein was actually a catalyst for the growth of a cancerous cell as opposed to the long held belief that protein prevented the growth of cancer cells. For a scientist, this was not a popular, let alone a career enhancing, path to take. In addition to cultural convention and scientific tradition, there was also a huge industry behind things like beef, poultry, fish and eggs. To uncover anything truly credible that revealed animal protein as a detriment to good health would be a significant blow to those profit margins associated with meat, chicken and dairy products. Still, you go where the evidence takes you and this is what lead to Dr Campbell’s three decades worth of well documented and thoroughly researched conclusions that compellingly decries the consumption of animal products. Later, Dr. Campbell facilitated a study that allowed for the adjustment of the AF dosage. They found they could turn the growth of cancer cells “on” and “off” by adjusting the amount of animal based protein being fed to the laboratory rats. Angela again takes aim at Dr. Campbell’s research again by saying the rats eating less protein died faster. 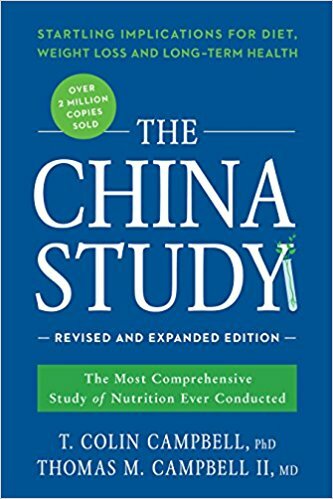 Frankly, I’m not sure where she gets this information as “Appendix A” of Dr. Campbell’s book provides additional information about the experiments on the laboratory rats including the overall health of the rodents on a low-protein diet. 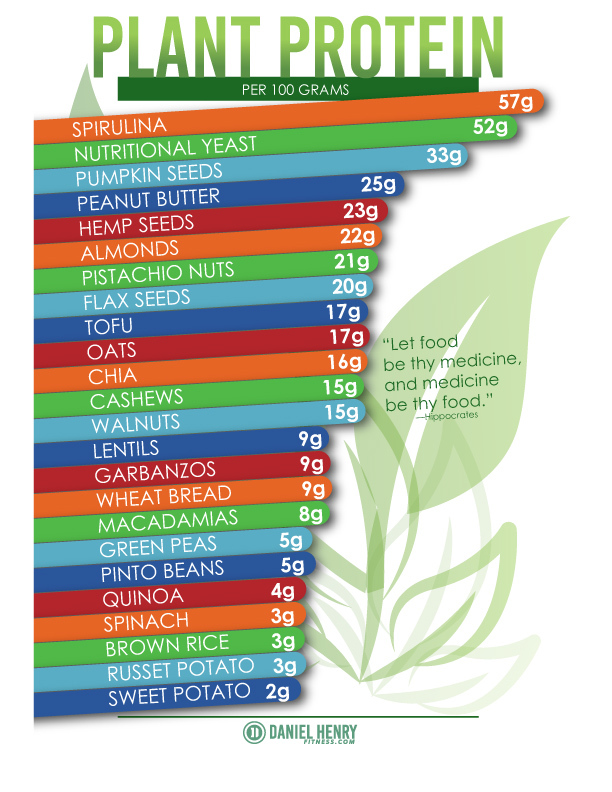 But here’s the kicker: Not all proteins are created equal. While animal protein would be considered “high quality” because of the way it is so readily synthesized by our body, it brings with it cholesterol, carcinogens, added hormones and bacteria. On the other hand, plant based protein, while it provides all of the 9 essential amino acids, doesn’t include the aforementioned problems and instead includes healthy fiber, antioxidants and a variety of vitamins and minerals. You Can’t Argue with Success…But Does it Work? He was inspired to launch a revolutionary approach to heart disease treatment by having his patients engage a plant-based diet with minimal medication. Within the 8 years leading up to the study, these 18 people had suffered through 49 coronary events, include angina, bypass surgery, heart attacks, strokes and angioplasty. In the following 11 years, there was exactly 1 coronary event of the 18 he started with. In addition, 70% of his patients saw a reversal of their heart disease. However dogmatic someone might want to be in their criticism of a plant based-diet when it comes to fitness and the prevention / reversal of terminal diseases, it becomes suspect when you look at the people who have changed their dietary habits and been able to benefit dramatically by avoiding animal products. Again, there is a great deal of information out there and it can be a daunting task to sort through the data and locate a credible bottom line. But that bottom line does exist. Does it work? Beyond the “facts” and the “statistics,” does the information translate to real results? You can’t argue with success. If the information is credible and lines up with the truth, it will yield results that go beyond debates and even academic credentials. To lose weight you have to burn more calories than what you consume. If you want to build muscle, you have to tax that muscle to the point where it’s uncomfortable and not just mildly challenged. And if you want to avoid the liabilities that go along with animal-based proteins, switch to a plant-based diet and you get all the benefits without the consequences. It works and you can’t argue with success! Also, when God first put man on the planet, he gave them fruits and vegetables to eat (Gen 1:29). Meat wasn’t on the menu. That came later after the flood (Gen 9:3). While meat is obviously permissible, with some exceptions (Leviticus says “No” to Pork and Shellfish along with some other meats), I’m willing to subscribe to the idea that eating fruits and vegetables is consistent with the way we were originally designed and that’s enough for me to embrace it as a credible way to thrive and stay healthy – especially when dairy and meat products have been linked to diseases that can prove to be toxic. I don’t think eating a steak is going to put you in the grave, but I think if make it’s a staple rather than a treat, you’re placing a burden on your health that doesn’t need to be there. Drum Lessons - Whatever is Worth Doing is Worth Doing Right! Do Intelligent People Tend to Not Believe in God?